At Onsen Pools, we are very proud of the boutique day spa experience that we provide. 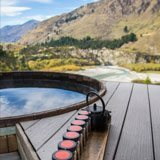 Boasting idyllic private cedar-lined hot pools overlooking the Shotover River, and a newly opened massage facility, the relaxation and pampering on offer here is second to none in the region. Our natural setting is matched by the pure water captured on its endless journey between the sky and earth to continually fill and refresh the pools. 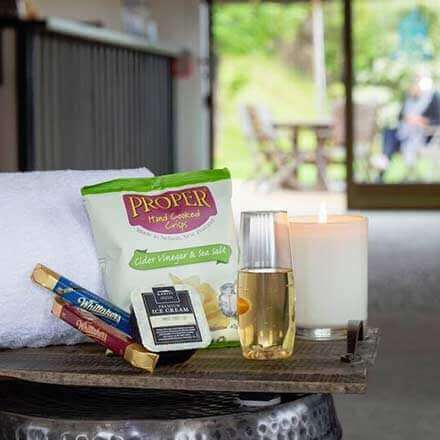 Your experience begins with an hour in a cedar hot tub over looking the picturesque Shotover Canyon with a complimentary selection of local refreshments and a snack. 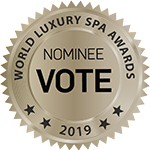 You are then escorted to your tranquil spa treatment room where you will indulge in a restoring choice of either, a 60 minute massage or 120 minute experience which includes a massage and facial.